well there ya go..the other guy is doing some kind of coercive magick on my ex. this guy is just evil and needs to get gone. i have some vigils goin on for me now at MISC in a run starting with hotfoot, then break up and then a reconcile vigil .. probably close to done on the break up vigil now. ive decided to do a mirror box and dollbaby myself. seeing that i have no products on hand, id like to ask the forum on what kind of vigils i should have MISC burn for me to buy time? If she is being manipulated with rootwork, an Uncrossing candle would be appropriate for her, or a Jinx Killer. After the Uncrossing or Jinx Killer single candle is finished (or even while it is burning) you can have MISC set a single Clarity and and a single Fiery Wall of Protection, so she can see what is being done and be protected from it getting back on her. She needs to be uncrossed if she is having spells thrown on her. In addition, you should probably figure out what this person is doing. And you better make sure that you protect and cleanse yourself regularly. Uncrossing is definitely a good start along with protection for both you and her, as Miss cat recommended. 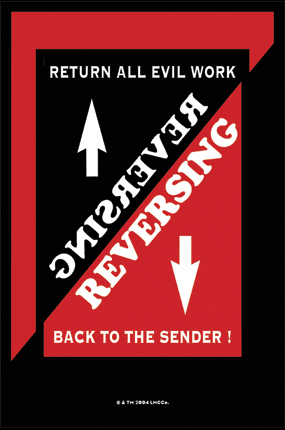 Reversing is anther MISC candle that I would recommend. After those candles finish, and provided that the signs show they burn cleanly, you could go on. II would do some thorough cleansing work, and probably do some cleansing of her with a baby doll in a bath, and an egg cleansing over her picture. Depending upon how much of that work you need to do and cleansing work. Only after that would proceed with the break up work and reconciliation work. Personally, I would just make sure you got a handle on getting the spells he has done off of her, then think about all that other stuff. when my orders do get here i have a few tricks to do. i have a freezer jar made a few weeks ago. a vinegar jar that started 2 days ago..which i shook quite alot. (haha that made me feel great!!) now i must bury it because it got cracked and has a hole in it now as of today. i had 3 vigils set in a run for me begining with hotfoot, break up and lastly reconciliation. (this was before i found out coercive spells were being used on her). i didnt anticipate this fool was using spells.nor does he suspect i know and will be working against him. so another order is going to be made. ive been smudging myself with bay leaves and have some sage. i will make a dollbaby of her. and one for him as well to put in a mirror box. a plan of either getting to her a letter dressed with uncrossing powder and possibly disguising uncrossing bath salts for her to use. after he is mirror boxed. i will set uncrossing and reversal vigils. i was wondering. until i get my orders from Lucky Mojo and the candles lit at MISC, would a white candle dressed with olive oil over a petition about uncrossing set here in my home have any effect? A white candle will certainly help. Pray Psalms 91 for protection. If he's working on your ex you may consider getting the help of a professional. If he's got any skill at all he'll sense that his work is being thwarted and will retaliate. Not everyone is prepared, nor knows how to deal with situations that involve another spellcaster. If your reading with an AIRR member confirmed this ask them if they can take on the case to help reverse and uncross, if not who they could recommend to help you out. 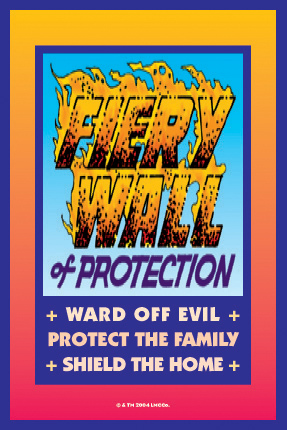 Uncrossing, Reversing, and Fiery Wall of Protection vigil candles set at MISC could help out quite a bit. Make sure to keep yourself protected as well. i plan on having those vigils light for me soon here. but im not sure on which order i should have them burned. uncrossing first for sure..but should FWP be burned next? ill have to think a bit more on that. a rootworker to help/work for me will be considered as well. ive been thinking of past events and things. i have been trying to determine what this guy could be doing for works. its very difficult considering where i live..most people here are wiccan. and there are nothing but wiccan stores and very few of those at that. but there is the internet to get things. this is crazy, I am in the same situation as you!! really? man i am so sorry that you are dealing with this kind of thing too. its the worst feeling in the world to me. i havent been too vocal about what was between me and her.. i lost a great deal... not just a girlfriend. its so hard to keep a positive attitude at all times. and i am new to hoodoo as well but a lot of people here have taught me a great deal.i have my bad days but i feel confident enough to overcome that evil covetous man. well ive done a few things now. but im not sure where to go from here as a next step. id like to get her to atleast have thoughts of me. in a reading i was told she does miss me and eveything..but shes with that guy so that changes alot. i know an uncrossing spell is necessary but would a return to me vigil after it be something to consider? the only possible leads are he claims to be taoist and a smirk voodoo reference.. I had a question. Had an uncrossing candle burned for my target as it was felt his ex may have tried to bind or put a spell on him. Received that it burned and was interpreted that there are obstacles being placed in the way of this work. There seems to be a couple of things holding him back. Should I have another candle lit. I have placed some uncrossing bath salts in a body wash he uses. i have learned that my ex best friend put a binding on my relationship so we break up. I wanted to light an uncrossing candle at the altar. Should i supply my ex-best friend's picture or a picture of me and my boyfriend? If you are burning an Uncrossing candle, then the picture you submit should be of the person/people you want Uncrossed - so that you be you and your boyfriend. If you feel you've been crossed up, then I would also suggest you get a reading with one of the AIRR workers to determine if a candle will be sufficient to remove all the effects, or if you'll need something a bit more complete - such as an Uncrossing spell kit, or some other series of candles and baths. I've been dealing with some major negativity since January of this year. I had major surgery and was immediately in a fight afterwards. As I spoke about at this forum previously, my neighborhood is dangerous so I requested a protection vigil candle set at MISC, along with some other candles to remove negative people/situations immediately. I would like to have an uncrossing candle set to clean the negativity and clutter out of my own life. Will doing this "undo" or erase the other works done by the other candles previously set at MISC? If so, do I have to do another protection and banishing spell/candle right after? As the name suggests, Uncrossing is used to lift any crossed, or negative conditions. It won't interfere with any positive work you have going. Mister Hob is definitely correct. Besides its about intentions here. If your intentions are to remove negativity, and old clutter then that is what it will do. 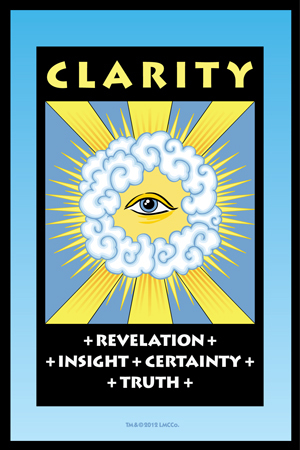 In addition to the Uncrossing, I would recommend a clear and cut to remove out old clutter from your life. I have a question about an Uncrossing candle versus a Cut and Clear candle. I've read on the lucky mojo site and in the forums that a cut and clear vigil candle is used for breaking ties to ex lovers and such. 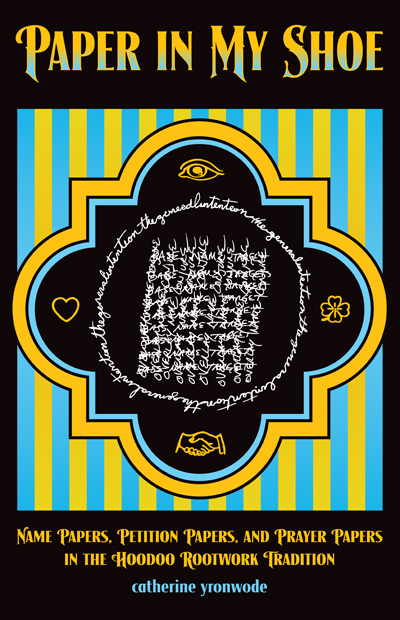 The most notable usage of Cut and Clear deals with relationships, but they can used to sever the connection with anything from your past that may be causing lingering negativity.But I think you are right; an Uncrossing candle would be better for your purposes. I've decided to go with the uncrossing candle, since it is in line with more of my intentions. I need help with my petition. I want to buy a candle to be set at the church for uncrossing. I want to have crossed conditions in my life broken. I feel as if I have been crossed because lots of things seem to go wrong in my life from love, to work, to friendships. How do i word my petition? There are different schools of thought for this. But what I was taught is to make every petition or prayer as clear and to the point as possible. "May [full name and birthdate here] be uncrossed. May all Negative Energies and Entities be lifted from [full name and birthdate]. May all crossed conditions be broken up and cast away." A few sentence clear and to the point. You are most welcome. Thats why we are here. Allow me to add, you may want to include additional cleansing work at your home, such as baths...for uncrossing. Good Luck on your endeavors. Also post a prayer at the Crystal Silence League to enhance your efforts. Yesterday I ordered an uncrossing candle to be set at the MISC. 1) Last night i had a dream that i saw my bathtub clogged. It was full of dirty bath water. Then suddenly a whirlpool seemed to begin in the tub. It was like a tornado in the bathtub. I remember wondering why the water was shaking like that. then the tub unclogged rapidly. the water just began to go down the drain on its own. I'm wondering if this could be a sign that the uncrossing candle is what i needed to order? 2) will using van van oil aid the uncrossing candle ? 1) That is an amazing dream and bodes very well for your work. 2) Each MISC candle is dressed with an appropriate blend of oils, as far as I know. If you want an extra oil, such as Van Van Oil on an Uncrossing candle, you must request it in the message area of your order when you place the order online -- because once the candle has been dressed, the candle servers will not add more oils. I know this because I had a candle dressed (for a different purpose, regarding a friend's illness) and I wanted her Zodiac Oil added to the candle and when I called the shop and asked them to add it, I was told that it was a good thing they got the call before dressing and lighting the candle,but next time to put special instructions like that in the message box with the original order. It's a good dream. Just "hang tight". Let the people at the MISC do their thing. Trust in their intuition and prayer. You are in very good hands. All the best, and Be Blessed!!! Thanks, coastwitch, for the good instructions, direct from the church, about how to make sure a special dressing oil, like Zodiac Oil on a Healing light, is included with your candle order. I have heard miss cat call this sort of work, when you add an oil from a different product line,"cross-dressing" the candle. LOL! abadd1; Yes, I would take your dream to be a wonderful indicator that the candle you ordered is the right one for your condition. Miss Cat has mentioned many times on the boards that some people have reported signs, movement, and even results, while their candle was yet to be lit or they were waiting for a mojo bag to arrive. Best of luck to you. I'm ordering a reversing candle to be set for me and need some information on writing the petition. How do I refer to myself and also name the target to reverse when a vigil candle will be burned, as it seems there's no way to divide and reverse the candle for inscribing as with a free-standing candle? Is it more effective to use photos in this case? Also, when I was considering how to word my petition I found I was mentally referring to myself by my maiden name, which I haven't used in over thirty years. Do I consider this a message to use that name in my petition? Or is the name I use now appropriate? Or both? I'm no longer married to the man whose name I use, if it matters. If the Reversing candle is being set for you by MISC, there's a message area where you state your request. So, there's no need for you to worry about that. As far as the maiden names goes, many Hoodoo practitioners believe it is not necessary. However, I always use my maiden name. That's just me. Myself, I'm inclined to think this is a message -- to stand up for yourself. Using your maiden name might honor this -- or it might confuse you. Use whichever name you know yourself by. After the light is set at the church, consider taking back your maiden name. It may be the right thing to do, but it may or may not have anything to do with this work; it may just be that now is the time. But this is a decision only you are qualified to make. If you are no longer married, and you have no children at home with that last name, I'm with Miss Michaele. Legally change your name back. Start using it in your work and in your life. You can also choose a new name, if you wish. I agree about legally changing your name back if you have no connection to your ex, or good reason not to do so ...However, when I read your post the first thing that popped into my head was that the curse or jinx may have been sent to you originally using your maiden name. I mean the one crossing you thinks of you as "stevie maiden-name", not " stevie married-name". Perhaps an old rival from school or someone from your past. Recently had an uncrossing candle burned at MISC, and based on the results I had decided to order another to be burned. Would it be wise to burn another type of candle as well? Or would getting a run based on the outcome be a better idea? Unfortunately, I cannot setup an altar and practice at home due to respecting others beliefs in the household. You may order a second Uncrossing candle. 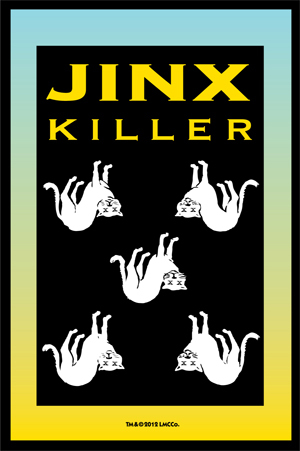 If you wish a second candle of the same type try Jinx-Breaking. If you with to set a run of three Uncrossing, that will be fine as well. There is a per-candle discount on the run of three. Wishing you success with the outcome. Iorder Uncrossingcandle at te missionary Independent Spiritual church and ask them for start it last sunday,monday morning i also start a 13th bath for 3 days. Since the first day of the candle, every night i have a lots of nightmare.Let me know why i have a situation like that. I notice also after i pay for the candle with paypal i never receive an email from the Independent Spiritual church. I am so sorry that you are having nightmares. I don't know why you're having them without knowing the full details (and we can't do this on the forum) of the dream. You might want to consider getting a reading on this. As it could be for many reasons. Can you contact MISC and ask them about this situation? I am wondering if there was some sort of miscommunication with the payment center. Or (as we already know: Mercury is in Retrograde and this is a time for communication problems: human-to-human communication; computers; telephones; etc). Not trying to make excuses BUT this really ought to be cleared up with MISC. I bet you anything that three's a logical explanation. Wishing you the very best and hoping that those nightmares cease immediately. I have no idea if they lit it or not. You'll have to ask them directly. I link them with the email and them let me know the candle is lit and i gonna receive the report after that. I don't know what you just said (spelling is way off). But there's a smiley face after that. So I take it that it's good news. every thing is good, my candle is lit already, thanks you. After i was so happy that someone could help me to get some LM products because i couldnt order for myself due to some issues with my card. Now the first time i open an oil to use it i spilled it. And i really think is a sign because it was the Van Van oil that i was using to dress a candle to clear the bad from my relationship. I had some problems in the past and for a few days it seemed to be improving but again misunderstanding and lack of trust are breaking us apart. I had 2 candle lit at MISC: Healing and Reconciliation and in both reports was stated that i can have positive progress but any unresolved issues (plus doubt) may need some focus. I dont suspect that someone crossed me, i cant think of who, unless is from his part. But i really think is just the bad memories, lack of trust, misunderstanding, exhaustion, negativity that come between us. Which candle to have lit again at MISC? The Uncrossing would be efficient even if i dont suspect of anyone? I dont want the Block buster because we have enough drama and we cant handle an explosive situation even if its for the best. I need something smoother. Any suggestions, please? What about the Van Van oil that i spilled? I would not view the spilling of the Van Van oil as a bad sign. To me, it means that is it a sign that your living quarters needs to be cleansed. Chinese wash does have some Van Van properties and I would use that to cleanse. For the other issue, you may want to ask Misc to light a Cut and Clear for you. Cut & Clear isnt it to let go and forget? I wouldnt want this, i want to clear all the bad (bad memories,misunderstandings, lack of trust) in our relationship and make room for good. I am so sorry. I misunderstood what you had written. It thought that you wanted to clear out a past bad relationship. My bad for mis-reading. Yes, the Uncrossing would be a good choice. From what I read on the forum, if a spell is successful, it will generally take 3 months to come true. I am wondering if the uncrossing/jinx breaking vigil candles worked independently that guideline? Each vigil candle at the MISC takes around 5 days to finish. So is an uncrossing vigil candle only actively removing all spells from the target (if successful) during or at the very end of the 5 days burning process? Or does the uncrossing effect linger for a while after the candle is done? If the latter is the case, wouldn't it be bad news because you won't be able to immediately start casting spells on the target after the candle has finished burning, the spells would get wiped out. The idea that a spell completes in 3 month is a guideline, and you have it backwards, I am afraid. The guideline is that if it does NOT complete in 3 months, you may wish to try another approach. And even this is by no means a hard and fast rule. Some spells manifest in a matter of days, others may take months or even a year or more, if you set yourself a one-year timeline during which to work. It all comes down to how Spirit chooses to bring things to pass, if at all. 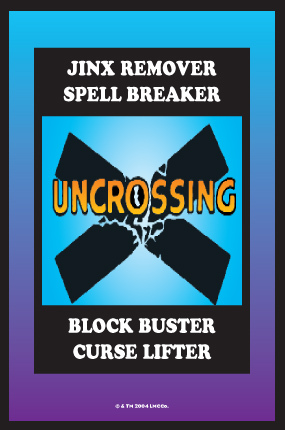 Uncrossing or Jinx Breaking work is intended to remove any spiritual messes that have been set upon you or the person you perform the work on. They clean you/them from work already done. If you uncross a target from past messes and then perform new work on them, that new work would not be impacted by the uncrossing. Miss Athena, thank you for the clarification! My uncrossing vigil candle report came back yesterday indicating delays and obstructions due to an existing or past situation. It also called for "more effort" on my part. I had this candle lit one day before I started a series of 13 herb baths for my ex's doll to remove a spell. Unfortunately I was doing the baths incorrectly and only found out on the 4th days. I've restarted the baths since and are once again 4 days into the 13 days ritual. Hence the delays mentioned in the candle report. I wonder if by "more effort is called for" it means for me to stick it through the whole 13 days of baths or should I also have a second uncrossing vigil candle lit immediately? f I have another candle lit maybe I should simplify the petition into Uncross (my ex's name) from all spellwork, magic, curses and crossed conditions? Definitely continue the baths to completion. Have another candle lit. And please change that petition to just the uncrossing verbiage. That was too much to request for an uncrossing candle.Also, do not refer to yourself as "her." Use the pronoun "me." Miss Aida, thank you! I love learning from you how to word petitions better to make it easier to break through the veil and reach the spirits. I will simply word it as Uncross (ex's name + birthdate) then. Can an uncrossing vigil candle be used for love? You know to release past relationships that still may have a hold on you and hindering you from moving forward with another and to work through issues from past failed relationships?